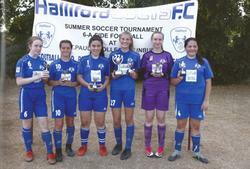 Formed in 1974, Halliford Colts F.C. 's aim was to provide football and sport for all in the local community, with well meaning and dedicated volunteer's helping to run the club.Today the club strives to provide quality coaching for youngsters and has acheived the F.A. Charter Standard status. Our club identity is associated with fair play and sporting nature. Every member of our Club is a valued member and offered the opportunity to improve their skills through quality coaching from F.A. qualified coaches. 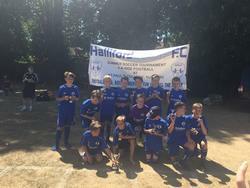 Halliford Colts U11's managed to get both their teams to the final of our own Tournament, which was a brilliant achievement for the boy's and meant they collected both the Winner's and Runner's Up Trophies. 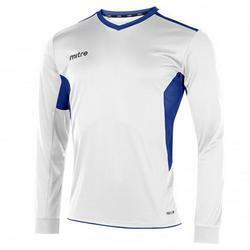 Club merchandise Hoodies, T-Shirts and Baseball caps are now available to buy via the Club Shop Page. contact us button at the top of the page.